You take a look at their hard work. 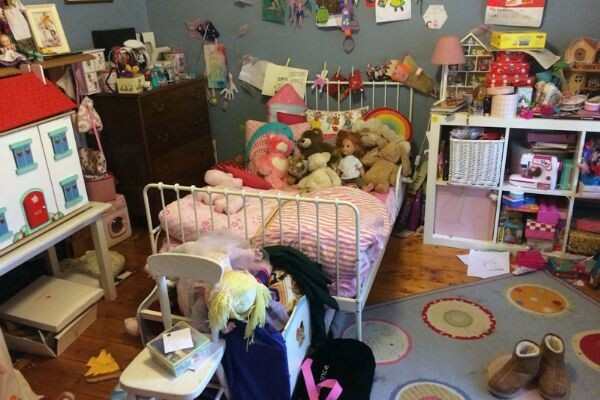 And, if these images submitted by parents showing their children’s notions of clean are anything to go by, I think it’s safe to say we clearly have an entirely different understanding of the word ‘clean’. 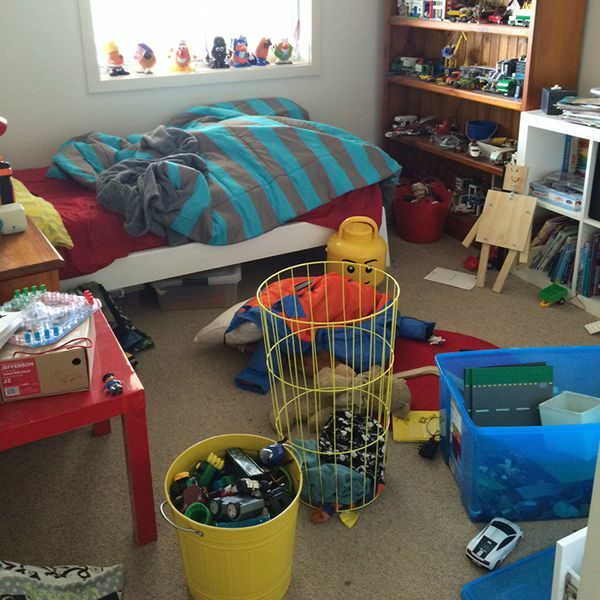 To me, a clean room means the beds are made, the toys are neatly put in their individually labelled boxes, the books are stacked on the shelves, the clothing is folded in the drawers, the furniture is dusted and the floors are clear. 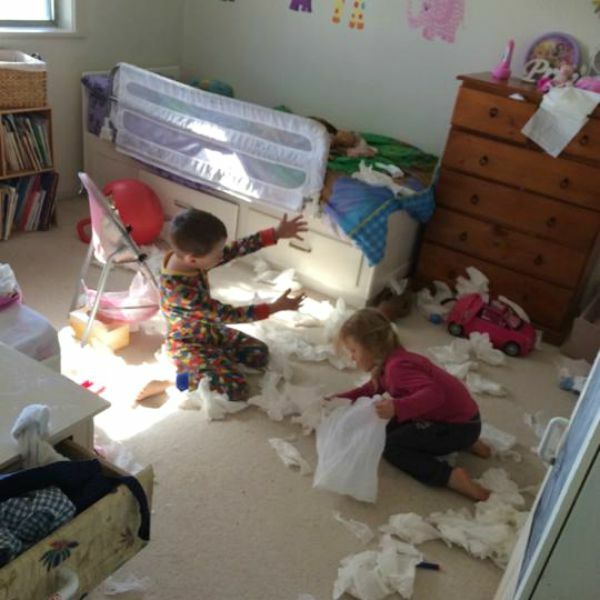 To them, a clean room means… well. Come and take a look. If nothing is left on the floor, then it’s clean. 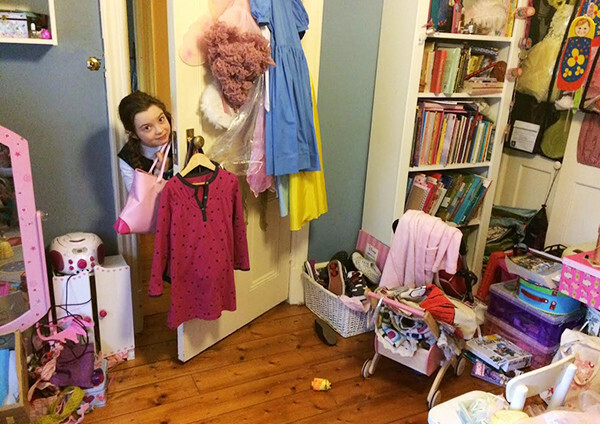 Never mind that everything on the floor was cleverly just thrown into the cot. If you can make it out of the door without tripping, then it’s clean. You can see the floor can’t you? If I’m still playing with it, then it’s clean. 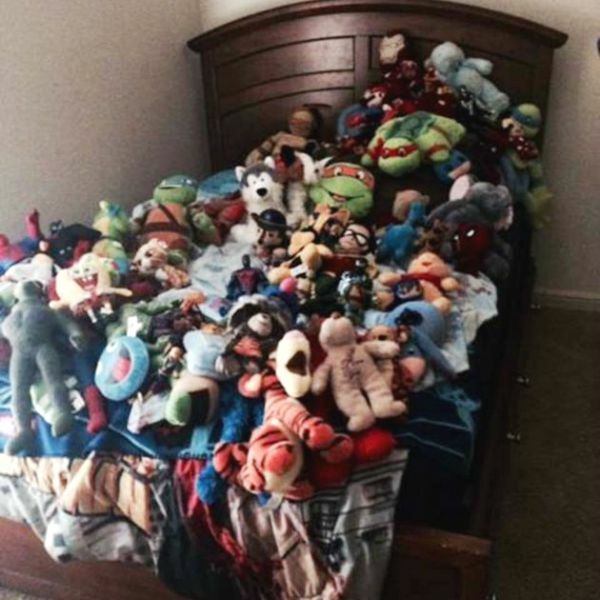 If it’s on the bed, then it’s clean. If the majority of the clothing made it into the dirty laundry bin, then it’s clean. At least all the Mr. Potato Heads are lined up neatly. If it’s stacked on top of one another and not toppling over, then it’s clean. This is the book basket. 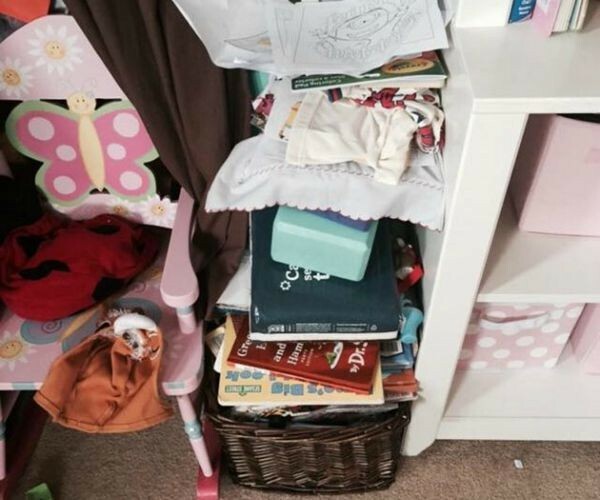 Clearly, only books go in the basket. If there are only two random cardboard boxes on the floor, then it’s clean. It’s just not a clean room without a cardboard box in the corner. 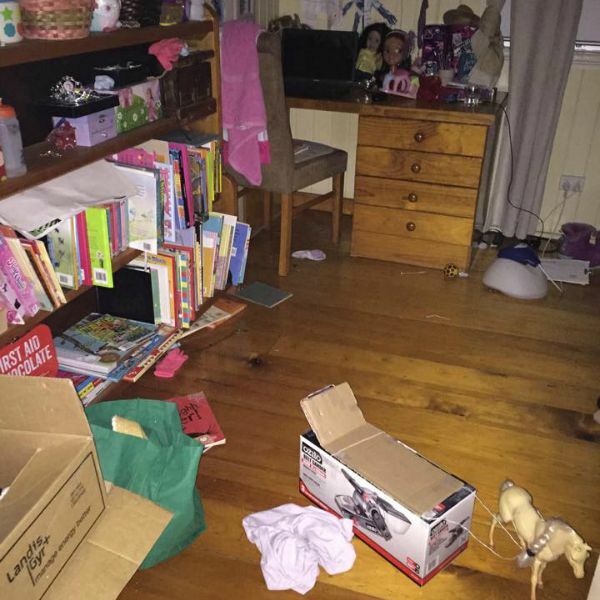 Note the collection of dolls’ heads in the corner – also a must for kids. 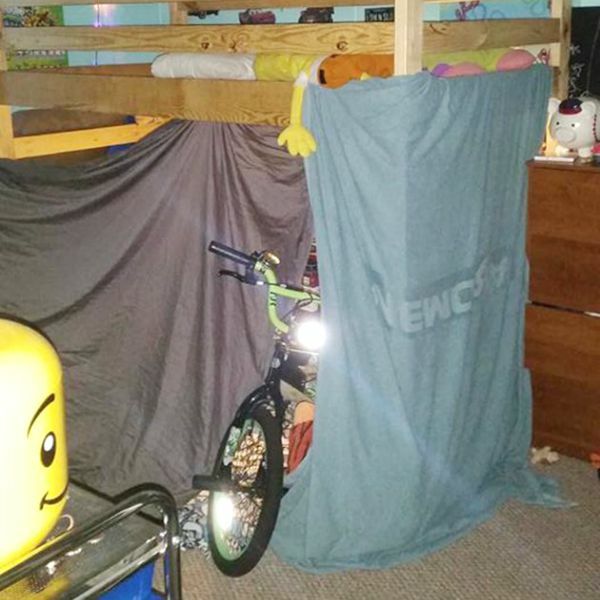 If it’s out of sight and hidden behind a blanket tent, then it’s clean. I especially like how the outdoor bike makes an appearance. 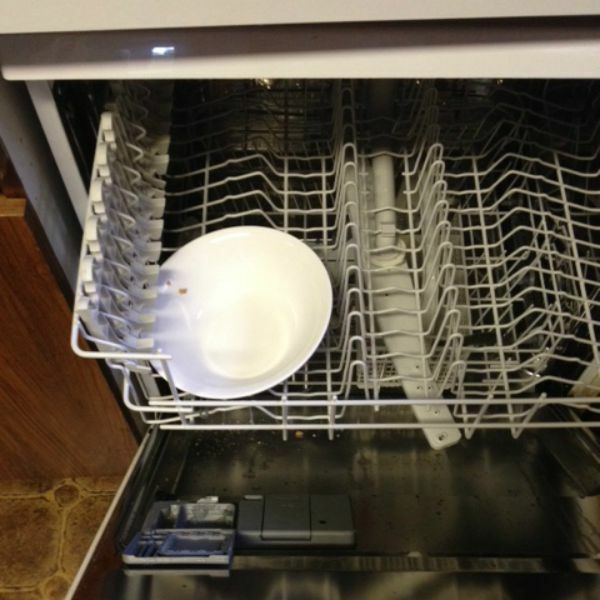 If I put it in the dishwasher, then it’s clean. The rules of cleanliness extend to other areas of the house as well. Like the kitchen. 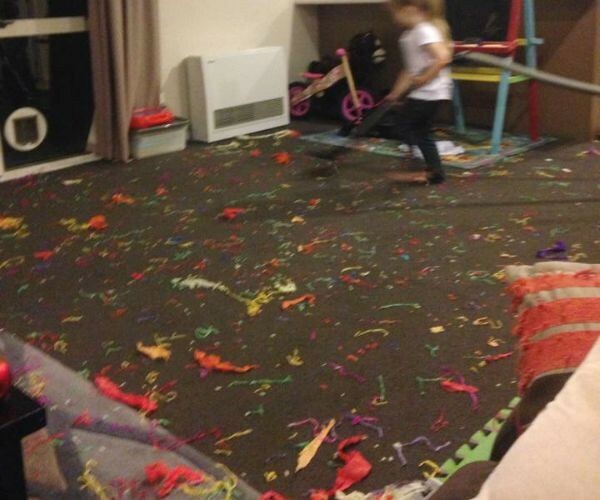 If the playroom lounge is only missing one cushion, then it’s clean. 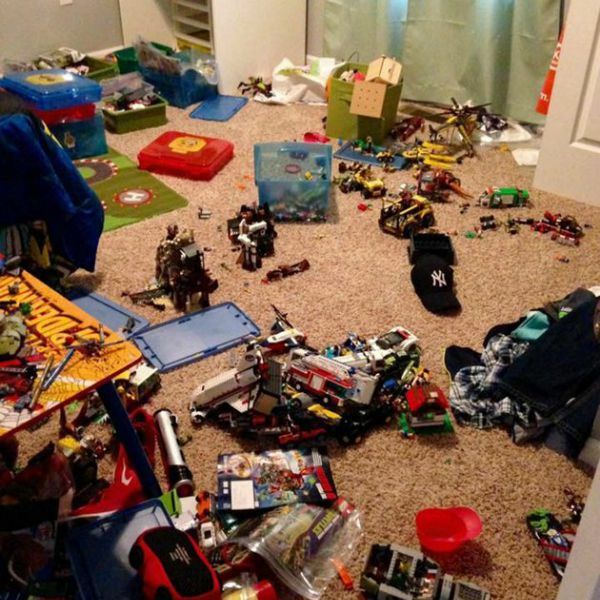 If there are no toys on the mat, then it’s clean. Let’s just pretend we don’t see the bits of paper all over the place. 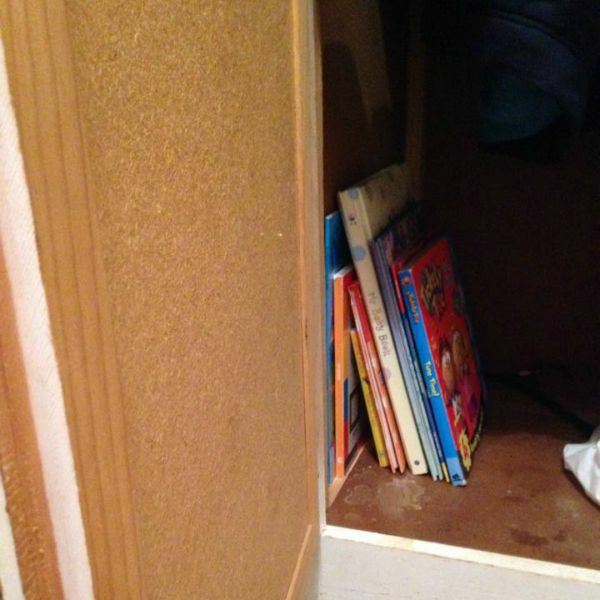 If it’s hidden away in the hallway closet, then it’s clean. 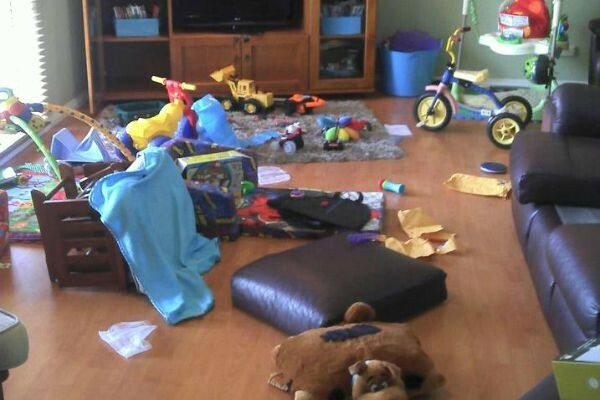 If most of the mess is piled up in one corner, then it’s clean. Do these rooms leave you nodding your head in understanding or trying to control that twitching eye? Maybe a bit of both? Check out some of our other parenting fail posts including why my kids won’t eat their food and average parenting problems that all parents can relate to.